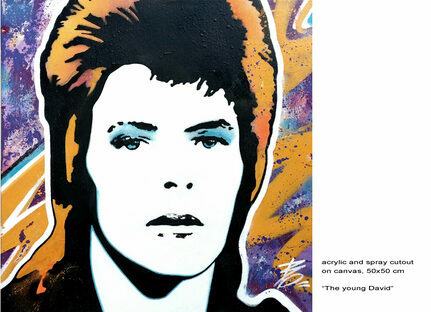 You can now order this unique portrait of the legendary pop icon David Bowie printed on canvas. Price for a print of 50 x 50 x 3 cm is 625,- euro ex. Limited edition, only 250 prints available. A copy printed on canvas is still a beautiful decorative piece on your wall. Delivery will be quick and prices are lower than an original artwork. Different sizes are available. Use the contactform to find out more.